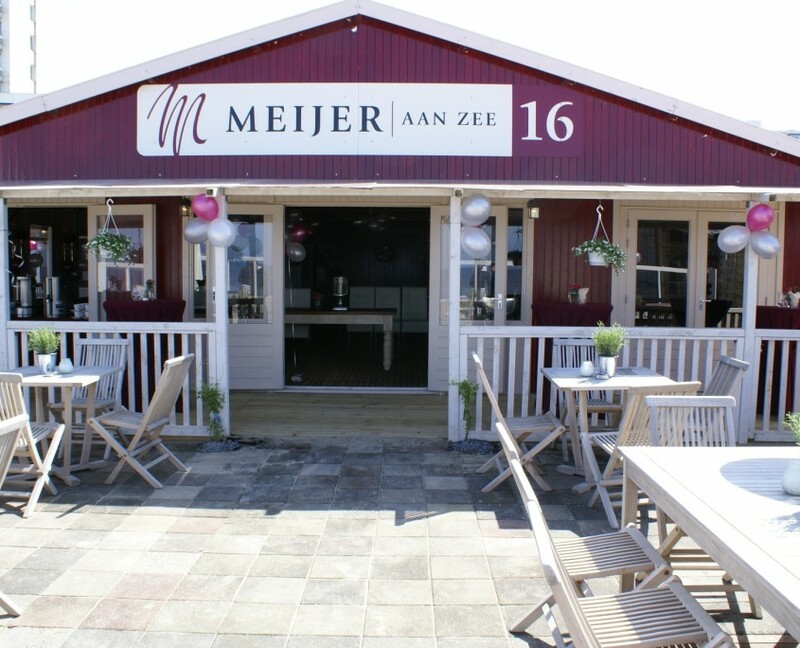 Meijer aan Zee is a pleasant beach restaurant surrounded by a cozy porch. A large, comfortable terrace, cozy Cocktail Club at the beach, and great beds complete the picture. The menu is very diverse: from lobster to pizza and naturally the famous double steak. One can also enjoy lunch at Meijer aan Zee: freshly baked sandwiches and salads as well from the dinner menu. Meijer aan Zee as a separate beach house fully equipped for groups, with a private bar, porch, terrace with outdoor bar, and lounge sofas. At the private beach located on the front, there is a white wooden gazebo where you can get married. Meijer aan Zee is an official wedding location and has all the facilities for a fully catered wedding. Meijer aan Zee is also ideal for meetings, seminars, training sessions, and staff outings.